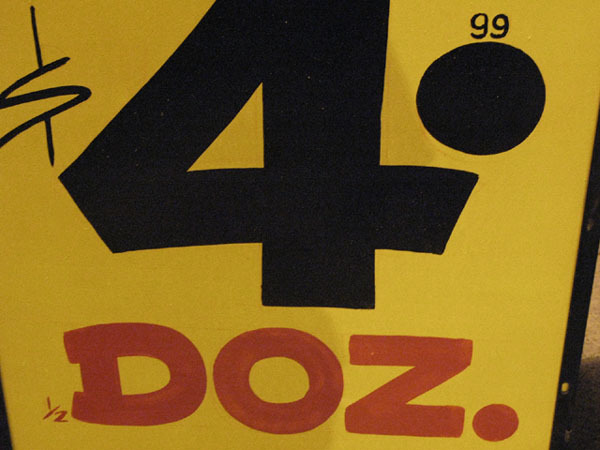 As you drive down Sunset Blvd.eastbound toward Vermont you might see a yellow sandwich board sign at the corner of Edgemont advertising what seems to be a dozen roses for $4. Since the area has several hospitals (Kaiser, Children&apos;s, Hollywood Pres), such a deal would seem like the sort of hidden gem that you&apos;d expect LAist to share with you. But the sign is hiding a dark secret. In fact it hopes that you see it in the dark. It relies on the fact that you will see it obscured in traffic. ...and that price is only for a half dozen. 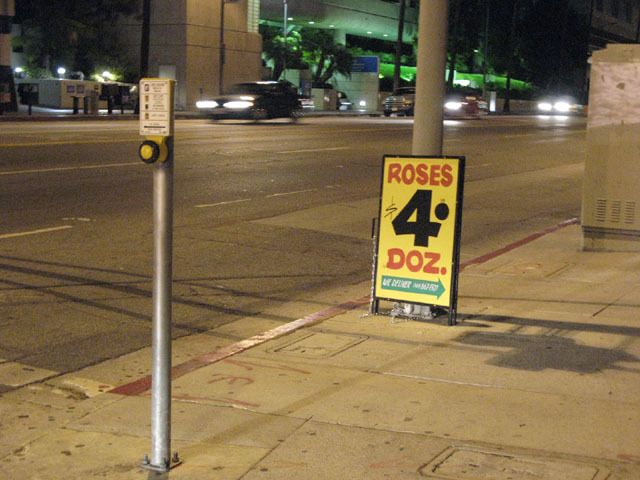 Meaning this glorious sign is really advertising roses for $10 a dozen, not $4. Poorly played, yellow sign, poorly played.